Poltrona Frau Group is renowned worldwide for its furniture pieces which merge expertise, innovation, sustainability, and design. These have earned it the famed reputation of the ‘Made in Italy’ brand ambassador. 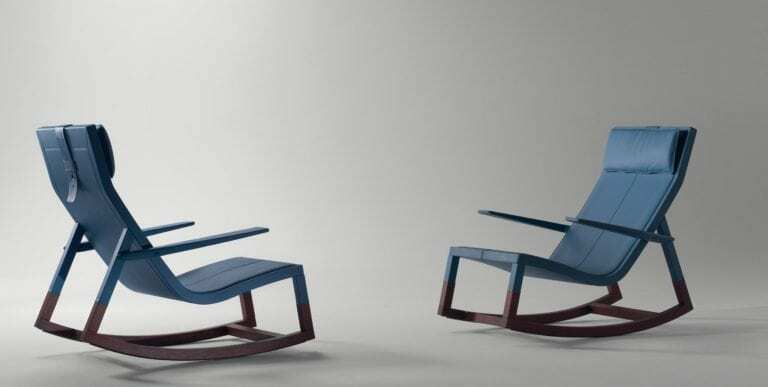 Jean-Marie Massaud’s Don’do Rocking Chair proudly carries forward the company’s philosophy. 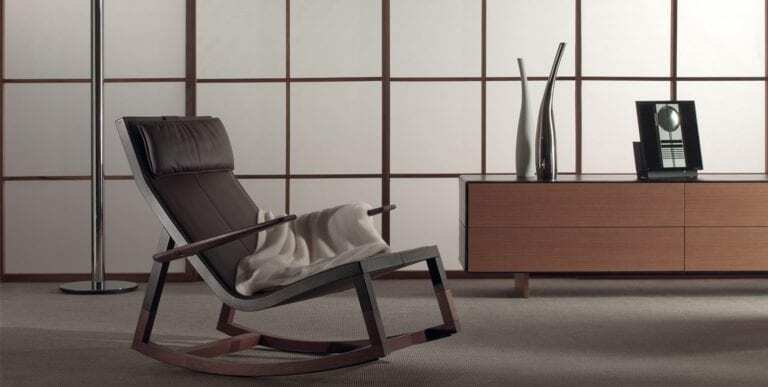 This modern interpretation of a casual rocking chair makes use of traditional craftsmanship and top-notch manufacturing processes. Its basic framework is structured out of bent multi-ply beech wood and its feet are crafted from steam-curved oak. The feet flaunt a walnut finish on their lower part. 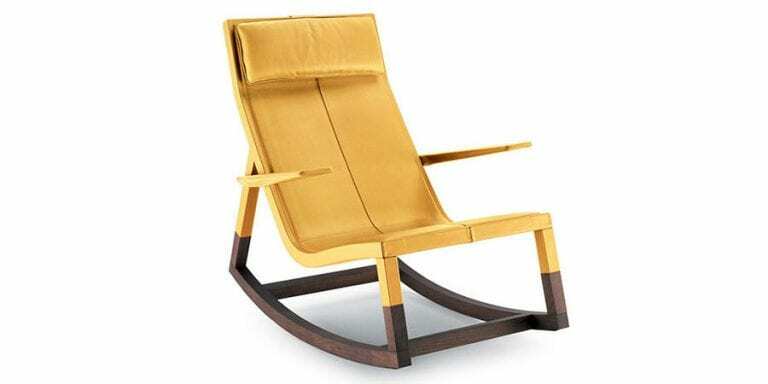 Don’do Rocking Chair by Poltrona Frau Group has a lovely silhouette with a fine balance of lines, curves and thickness. It offers very sleek and chic aesthetics. Its multi-ply beech frame lends strength and stability and its stunning upholstery adds to its durability. The upholstery comes in a wide range. You can get it in Heritage leather, RAF leather, or Pelle Frau® leather in a lovely selection of colors. The chair comes with a headrest that offers users extra comfort. Jean-Marie Massaud’s talent as a designer is clearly seen in this piece. It is comfy and flexible and can be used in numerous ways. If you like to read in the evenings, unwind with a cup of coffee, or just relax and take in the surroundings, Don’do is what you need. It is a great furniture piece you’ll be more than proud to own. Pair it with a throw and take your comfort to a whole new level. Wouldn’t you love to unwind on the Don’do Rocking Chair?